I don't know if there is any better day to celebrate during the year than National Relaxation Day coming August 15th! :) It sounds like a great reason to take a deep breath, grab a great book (or whatever you do to relax!) and find a comfy pillow to relax on! I know I will definitely be doing that on August 15th! And if you are looking for a great pillow to relax on this coming Relaxation Day, let me recommend the organic pillows from Three Happy Coconuts, the newly founded Los Angeles-based organic bedding company founded by mom entrepreneur Camilla Kim. Kim founded the company out of concern for her two young daughters' health, and her strong belief that they should not be at risk while sleeping. The collection, which includes plush mattresses, pillow toppers and pillows for kids and adults, represents her company's key values: family, comfort, and safety in the certified organic materials. Three Happy Coconuts' collection includes: mattresses, pillows, pillow topper, crib bed, and adjustable bed. The products use certified organic materials throughout, not just in the exterior components. I absolutely LOVE their collection, the materials they use and their mission! I received the Happiness pillow to try out and I gave it to my daughter to use because having my children use organic bedding is so important to me and for their health! She just moved to a big girl twin bed and big girl pillow so she is so excited to have a new pillow! And I am excited to know every time she lays her head down, she isn't breathing any toxins or harmful ingredients! Happiness is one of two hypoallergenic pillows made of pure organic latex for kids and adults suffering from allergies and asthma, and anyone who needs a chemical-free alternative to traditional cotton or wool pillows. 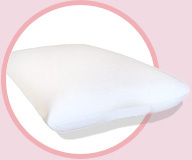 Happiness (retail $100-120, standard & queen) comes in a traditional pillow shape and provides excellent head and neck support, while providing ventilation due to the strategic placement of air holes. This pillow does not retain heat or moisture, so it remains cool, dry, mold- and bacteria-free even in hot and humid environments. The pillow is really soft and comfortable to lay on but isn't too puffy to make your neck ache. It is a large pillow (almost didn't fit the standard pillow case!) but it like sleeping on air! It is definitely perfect for National Relaxation Day! Plus, to help you RELAX this coming Saturday, make sure to enter their awesome social media contest where they are giving away two Happiness pillows in honor of National Relaxation Day (August 15th)! The contest to win two free Happiness pillows, along with entry rules, are announced here, and will run through August 14, 2015. So HURRY OVER and ENTER TODAY! You will love their Happiness pillows! You can purchase the Happiness Pillow starting at $100 from the Palmpring website.